Recently, the Senate Subcommittee on Science, Space, and Competitiveness, chaired by Sen Ted Cruz (R-Texas) held a hearing on “Putting American Boots on the Surface of the Red Planet.” According to Space Policy Online, the committee doesn't agree with NASA’s space exploration priorities. 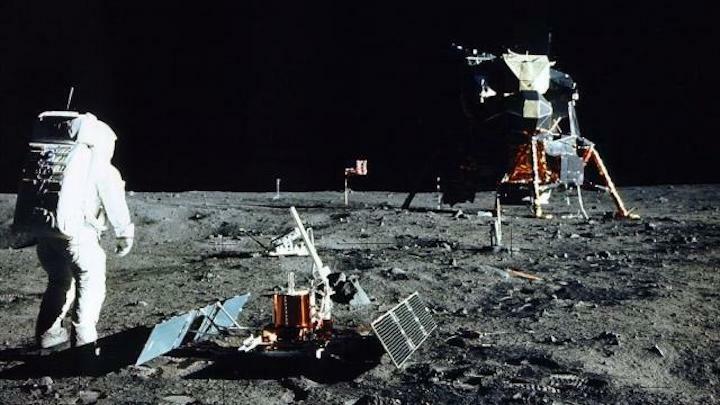 President Donald Trump and NASA Administrator Jim Bridenstine have stated that America is going back to the moon. Cruz and Democrats Sen. Ed Markey (D-Mass) and Sen. Bill Nelson (D-Florida) argue it should be Mars that NASA concentrates on. The moon, if it should be visited at all, should not be allowed to interfere with the Mars goal. Nelson raised similar objections, wondering why there was money in the NASA budget to start building back to the moon hardware but not Mars spacecraft. The senators were clearly unaware of recent studies, including one conducted by MIT, which conclude that a return to the moon is not a distraction from going to Mars, but rather crucial for any human exploration of the Red Planet. Robotic spacecraft dating back to the Clementine mission of the early 1990s and most recently the Indian Chandrayaan probes and the NASA Lunar Reconnaissance Orbiter have found indications of water ice stored away in darkened recesses of craters at the moon’s poles. Why is water important? Water is comprised of oxygen and hydrogen, which happen to be the components of rocket fuel. The MIT study concluded that if humans were to revisit the moon and set up a mining and refining operation that would extract the ice and make rocket fuel from it, the cost and complexity of missions to Mars would be greatly decreased. A Mars ship could be provisioned with enough fuel to get it to cis-lunar space where it would be topped off by lunar-refined propellant before proceeding to the Red Planet. Without a lunar refueling operation, any humans to Mars project is likely to be limited in duration and scope, if it happens at all. The Mars program could become like Apollo, glorious while it lasted, but ending as soon as money and the attention spans of politicians run out. NASA is planning to build a human-tended space station in cislunar space called the Lunar Orbital Platform-Gateway. The space agency advertises the facility as a way to access all parts of the moon. Incidentally, to answer Nelson’s question, the LOP-G is envisioned as a testbed and prototype for the Mars ship. Going back to the moon has value even beyond supporting a Mars exploration program, A witness at the hearings, United Launch Alliance’s Tory Bruno suggested that access to cis-lunar space and the vast resources of the moon and of near-Earth asteroids could help to create what he called a “post-scarcity human future.” Those resources could spark a space-based industrial revolution that would enrich Earth in ways that are currently beyond evaluation. Reasons for going to Mars include science, human inspiration, and enabling the United States to wield soft power by leading such an effort. Would those reasons be enough to sustain such an effort over 15-plus years? Current plans have the new age of lunar exploration starting this year, with robotic landers planned by India, China, and a private group in Israel called SpaceIL. NASA’s commercial partners, such as Moon Express and Astrobotic, may follow as soon as 2019. NASA envisions moon boots on the ground within eight to ten years. Of course, a compromise could be reached. NASA, having led the way for a return to the moon, could transfer operations to a commercial consortium so that it could focus its attention on Mars. Such a lunar development company could sell lunar-derived rocket fuel to NASA as it leads the great 21st-century adventure to the Red Planet. Everyone would win in such a scenario.